"Sessions always encompass a theoretical and practical approach. They are fun, interesting and creative. A truly wonderful learning experience"
Cambridge Forest Schools has it’s foundations firmly rooted in education and learning. As an experienced teacher, when my family and I moved to New Zealand, I was drawn to Playcentre – a unique philosophy of learning centred around holistic development. Whilst living in New Zealand, my family and I embraced the outdoor life and, in combination with the Playcentre approach, our young children flourished. As a result, on returning to the UK, I naturally gravitated to the Forest School ethos and trained as a Forest School Leader. The demand for my services was high and as such, Cambridge Forest Schools was born. The success of my Forest School programmes in schools highlighted a need for more practitioners. To support this I trained as a Level 4 Forest School and Outdoor Learning trainer. 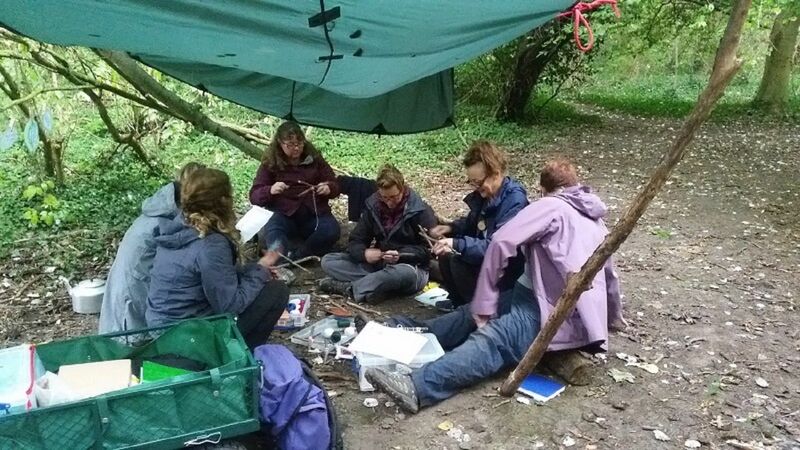 Teach education professionals how to embed Forest School and Outdoor Learning into their curriculum with high quality accredited Forest School training and Outdoor Learning training courses, consultation packages and group Professional Development meetings. Work with schools to support curriculum objectives with Forest School Programmes, Outdoor Learning sessions, Curriculum Fun Days-In and Bushcraft Fun Days-In. Get more people outside with our short, Practical Skills Short Courses open to anyone wishing to learn how to use tools and fire and enhance their well-being by spending time outdoors. 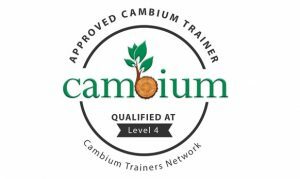 Cambridge Forest Schools deliver accredited Levels 1, Level 2 and Level 3 Forest School training and Levels 1, Level 2 and Level 3 Outdoor Learning training. Our suite of training courses offer different qualification routes and we work with you to map the right training pathway for your setting. Whether this is through the Forest School or Outdoor Learning or a combination of the two. Our range of PD sessions range from introductory, bespoke taster sessions to half day Practical Skills short courses for team building and refining skills with tools and fire. Our most recent community project was the Awards For All funded ‘Crafty Sew n Sows’. We worked with a diverse community group of school children and adults with additional needs on the traditional craft of cooking on the fire. The session gave an excellent platform for community integration between local children and our Red2Green clients. Last Summer we worked with Centre 33 to provide a bushcraft experience day for the Young Carers respite programme. The children were very positive about their experience and particularly enjoyed fire lighting and cooking popcorn on their own mini fire. We have also delivered sessions to young adults with severe learning disabilities for Action for Children. The sensory nature of the sessions stimulated and engaged the clients and provided the staff with a relaxing environment in which to recharge. The clients (unsuprisingly) particularly enjoyed the pizza making and cooking smores. We run Forest School programmes and Outdoor Learning in primary schools which has proven how effective Forest School is in helping children develop a range of transferable skills. We have worked with the same schools for 6 years with the outcomes for children being recognised by Ofsted. Our sessions range from child-led Forest School to delivering topic work through Outdoor Learning. We also run Bushcraft Fun Days-In and more structured curriculum led Outdoor Learning Fun Days-In where we bring you a taste of how Forest School and Outdoor Learning can support learning.